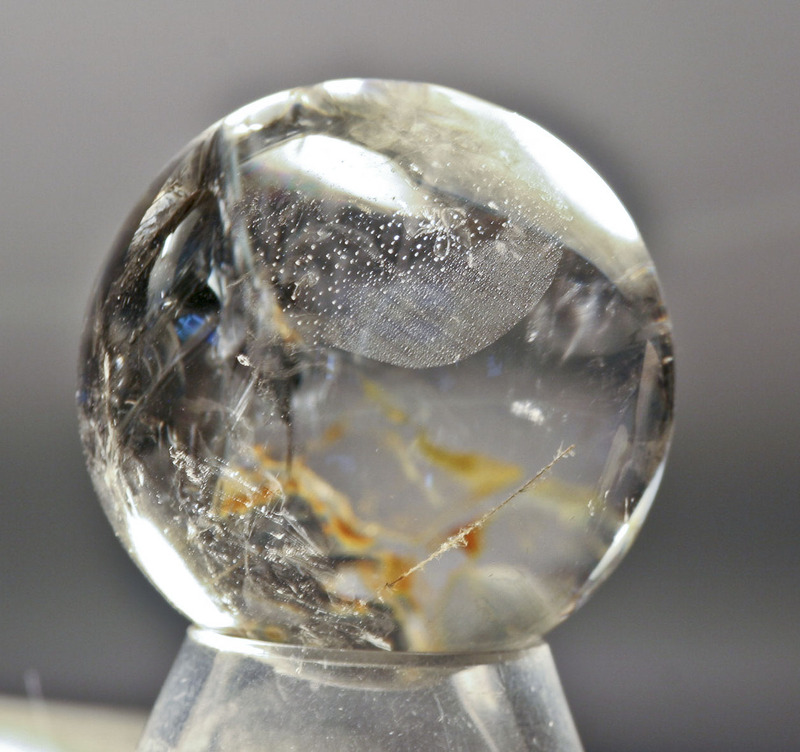 This small quartz sphere is really bright and pretty. Fantastic rainbow inside, along with two small strands of rutile. From Madagascar and measuring 3.3cms in diameter.